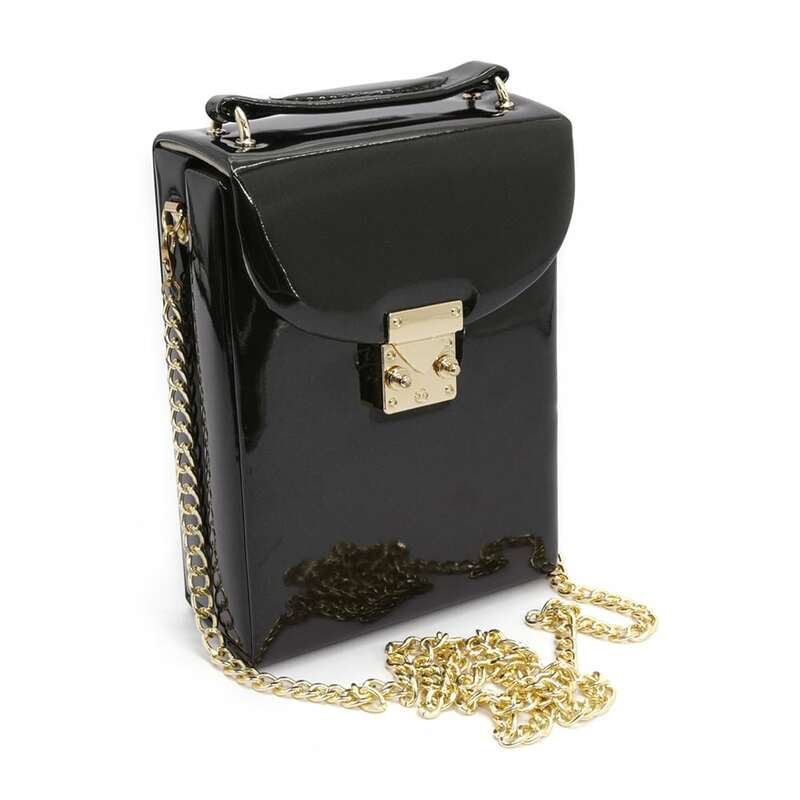 chains that extend out to use as a handbag strap. 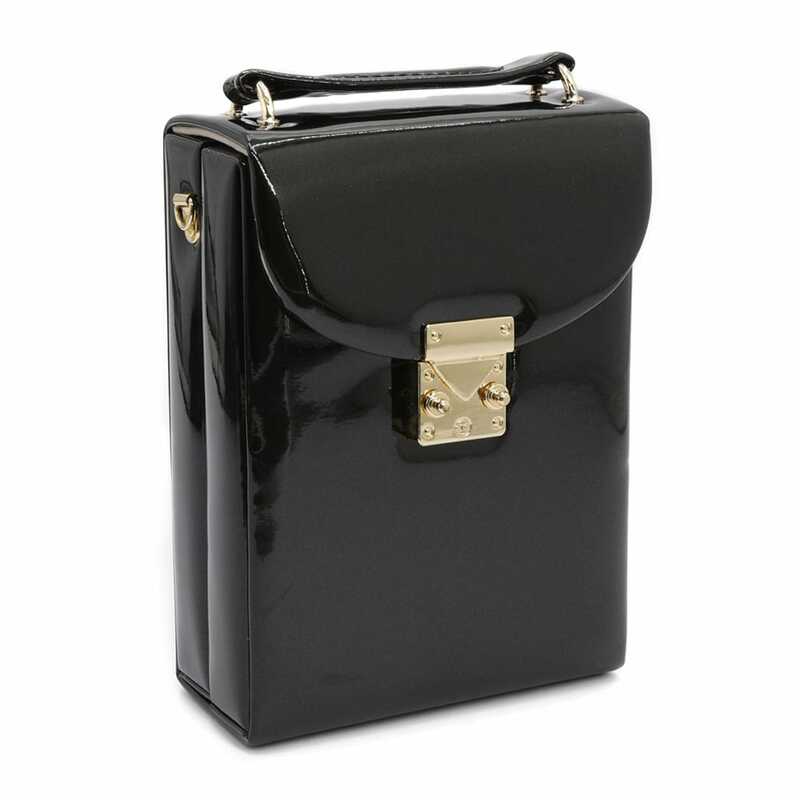 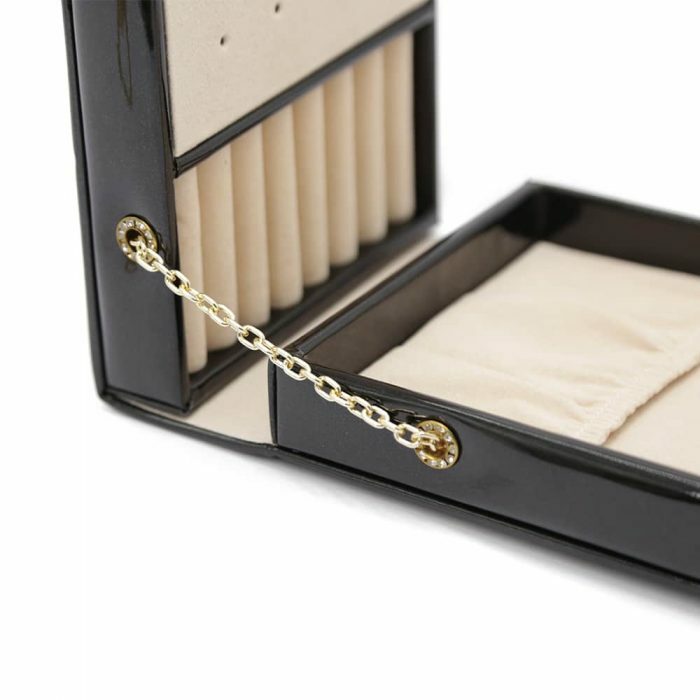 Once opened this bag has a cream velvet interior and multiple compartments to store your jewellery, bracelets, rings, necklaces, small cosmetics and valuables. 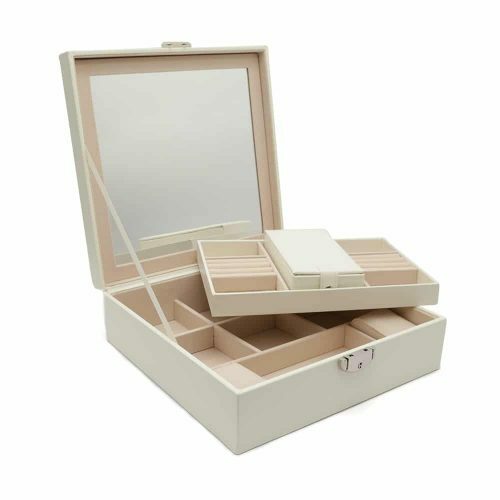 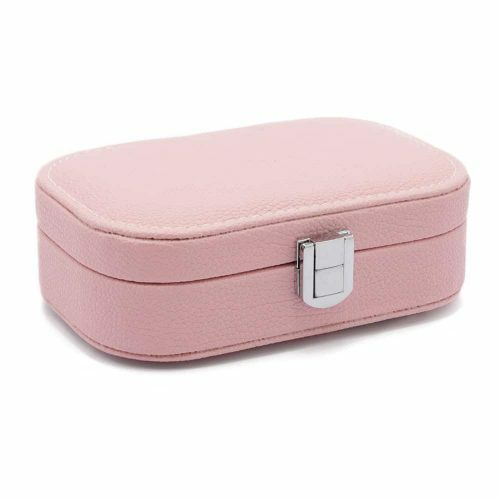 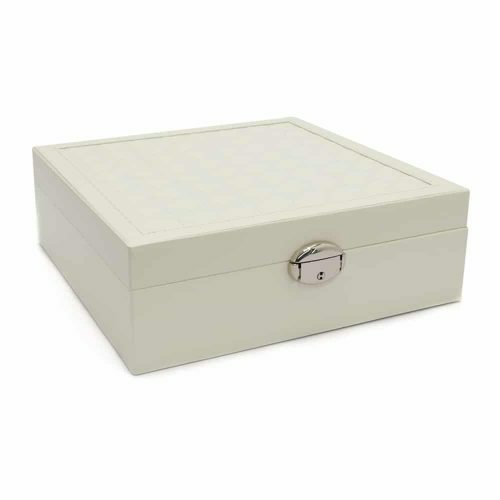 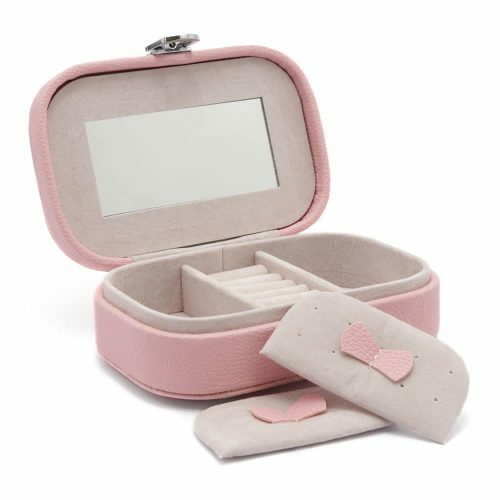 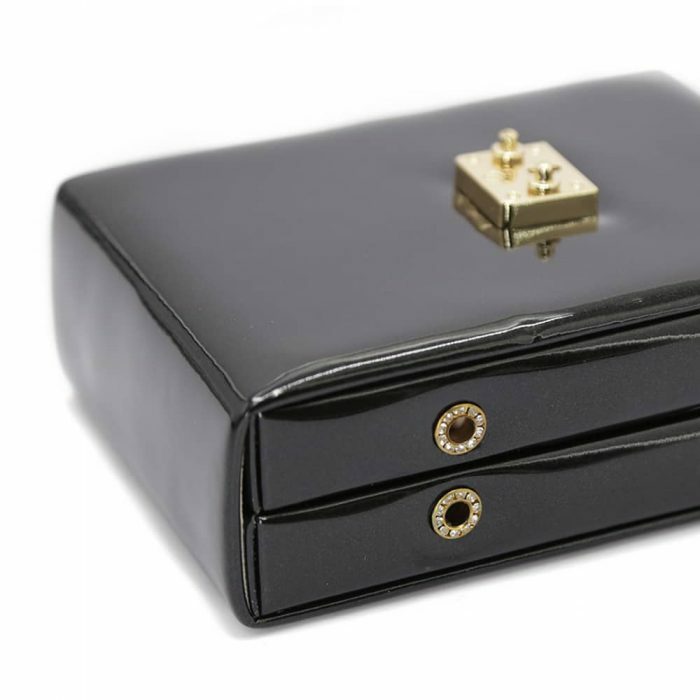 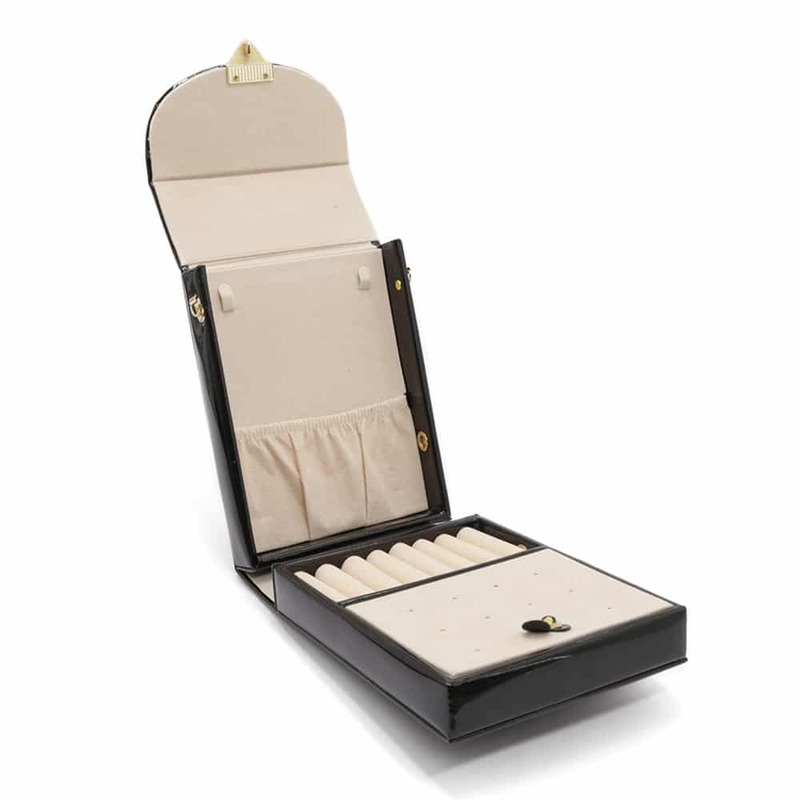 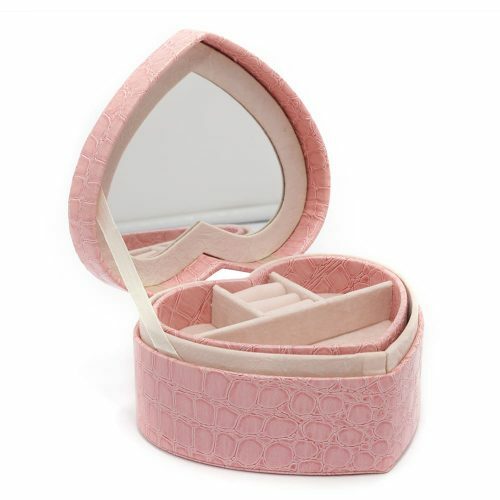 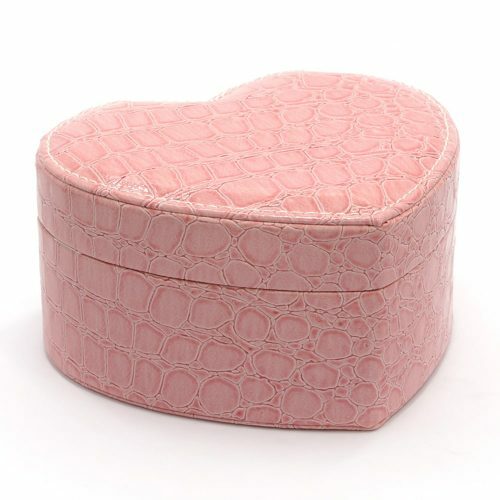 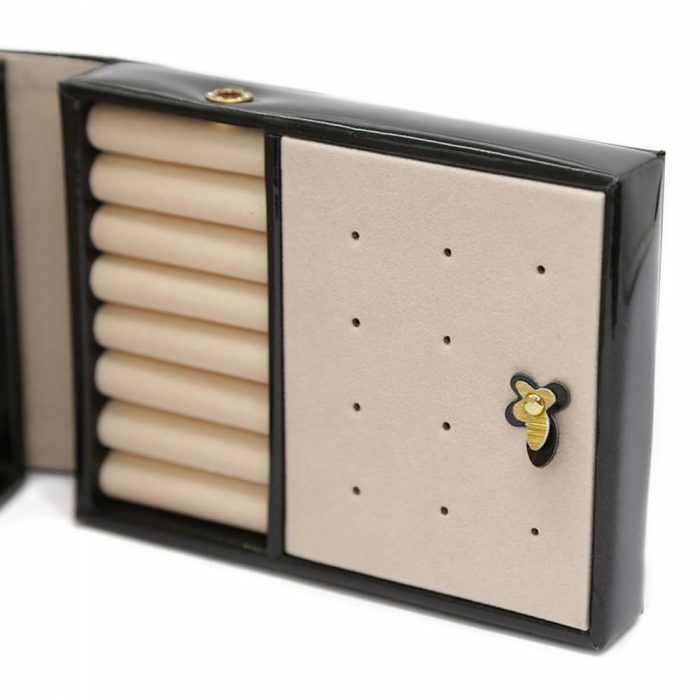 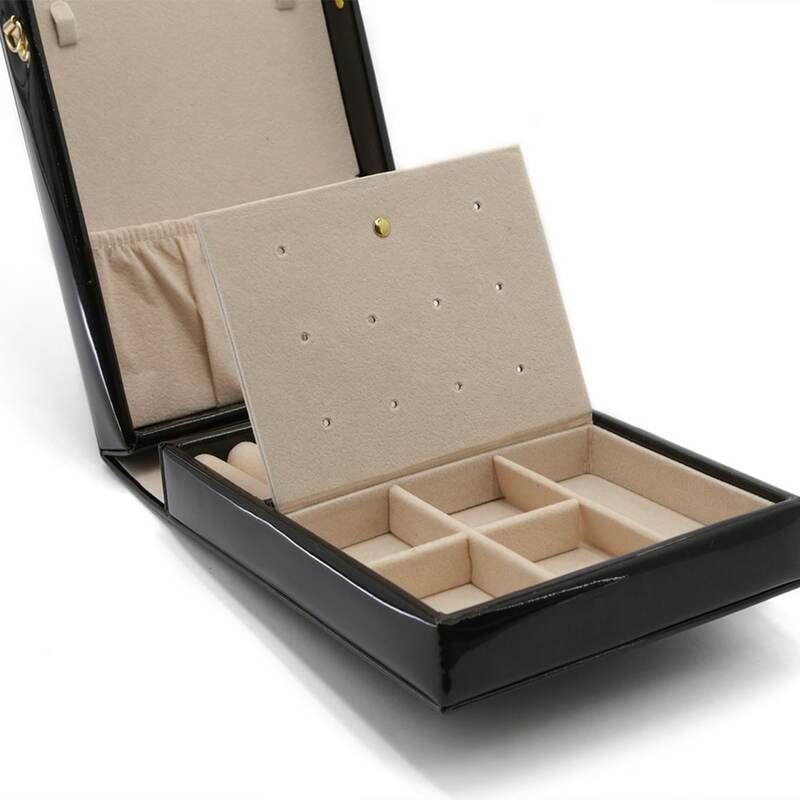 This elegant portable jewellery case is perfect for organising and carrying your beautiful jewellery with style when you or becomes the perfect gift.